Come to Napa Valley, California, a paradise where people are intelligent, happy and wonderful. It is paradise, the way we want life to be. This is the game of life: For the next 500 words, we will be conducting a test of the Emergency Broadcast System. It is only a test; it is for fun, and do please do not get angry and send hate mail. We want all of you to win at this game, the game of life. Be the first one to figure out the end of the story. Your challenge is to write the ending of this missive. This is tip about how intelligent people can have fun today. This is about a game that is fun and challenging to learn. It is like working a giant crossword puzzle, playing checkers, cards or chess, or maybe a video game, if we are so inclined. Today, I am living in small, 10-room bed and breakfast in Wine Country, a region of Northern California in the United States. 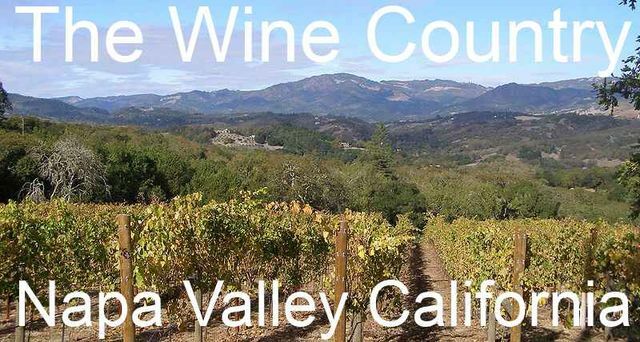 Wine-making has been practiced in the region since the mid-19th century, with over 400 wineries north of San Francisco, mostly in the area's valleys, for example, Napa Valley in Napa County, California. Do you know a person who is stupid, selfish and lazy? Of course you do! Or at least, that is our gut reaction. We instinctively give up on certain people too quickly, and the reason is simple: We truly believe some people are unteachable. The Republicans think the Democrats are stupid, and the Democrats think the Republicans are stupid. Fox TV is going to take swipes at CNN, and CNN denigrates Fox. And, I do not know about you, but I worked for some bosses who were dense and slow. I mean, one guy was lucky to know how to sign my check. Where Do Stupid People Live? Is there no such thing as people who are stupid, selfish and lazy? It is easy to say that insanity is doing the exact same thing daily and expecting a different result – That phrase has become cliché. Yet, it is still fun to say. I am a writer, a writer who travels, and has good fun. Today I am really in Kara, Togggggggo, W. Afffffffffffffrica, and I would swear my cleaning lady – this chubby, fat, black woman – is stupid, selfish and lazy. That is my easy way out, to just have contempt. I gave my cleaning lady clothes to wash. She waited until late in the afternoon to wash them. It was stupid, it was selfish, and maybe she is lazy. She cooked food all day and never got around to washing my clothes until about 5 p.m. And guess what: They never dried on the line; they are soaking wet. She is from the “Teflon, No-stick, I-Refuse-to-Change Culture” of W. Affffffffffrica. And I am from the U.S. “Teflon, No-stick, I-Refuse-to-Change Culture” of Indiana … and I want it when I want it! I gave the string beans to her, and what good fun: 2-3 girls sat around breaking up these string beans, cooking them, and they had a good old time. They did a great job of doing what they like to do, same as anyone … same story, different culture and continent. Soon, I was eating the string beans and was as happy as any boy traveling in Napa Valley should be. Often, we believe we smart, and we want to read about Napa Valley, which is by way of Afffffffffffffffffrica. We want to be tricked into doing what we want to do in life. This is the story: We all want to do what we want to do – no more, and no less. Lead us to where we want to go, and we will follow. The game of life is giving up as quickly as possible on things that do not work and trying things that do work. This video below is blaming the government of Canada, while in reality, the “government” of Canada (just like the USA) is ALL the Canadian people. We are all in this together, and we won’t get out alone. This is not a lie: There is a photo of a beautiful girl from W. Afffffffrica who is wearing little clothing below the members-only button. You need to log in to see her. This is not an offensive photo. It is culturally normal here. Under the clothing of most women here, they wear these beads. With a lot of persuasion, it was possible to get this photo, and soon I’ll post a video for you to watch when you log in as a member to the Hobo network. Unfortunately, Google censors and forces writers to adhere to what they call “search-engine optimization” (SEO) rules. In an effort to write for the readers and to allow honest explanations, we have created this simple members area. We often are writing to Google and not to you, and for that we apologize. But this new members-only area is our solution to that problem. Our Hobo network should be about the writing and not just about the money! Playing SEO games with Google annoys us as much as it annoys you, the readers. Thank you, and please log in to see the photo. Thanks Rick, and life is good for, and we at Hobo want to share the world with everyone. We want to make this site and the members able to share photos, ideas, dreams wishes, problems and solutions here with readers. We must find ways of making money to fund the site and celebrate the truth, and reality. It is very difficult to compete with websites that make up stories to tell. And sadly reality is such a great story to tell. Andy in Kara, Togo, up to good, la vie est belle - Come visit.